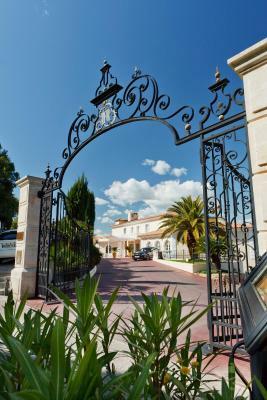 Lock in a great price for Villa Belrose - rated 9.3 by recent guests. 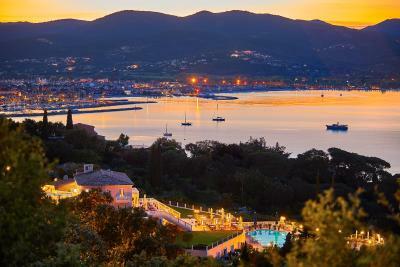 The best view in Saint Tropez! The stuff was nice and helpful. We booked a garden view room and got a free upgrade to a sea view room with a big terrace. Beautiful Hotel. Staff is wonderful and very friendly. Spacious rooms with nice terrace. I think the hotel was renovated as everything looked new. It was perfect location for our romantic escape! 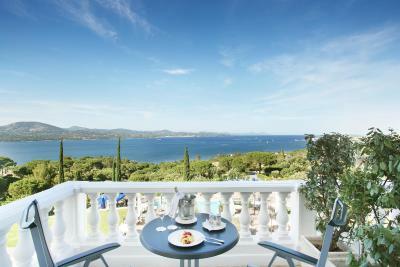 Definitely, the best place in St Tropez and stunning view from the terrace and the pool. The food was amazing the staff where amazing as was the whole hotel and the views. From the welcome to leaving the whole experience was amazing. We loved everything! 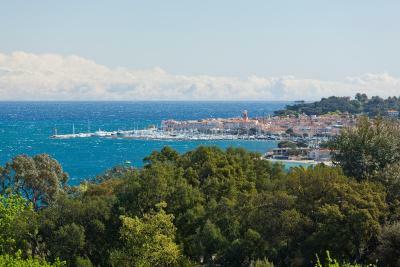 It was difficult to want to leave to explore Saint-Tropez. Every detail was perfect. Balcony huge! Room was perfect, every detail. Staff was amazing and attentive to our every wish. Rosé in the lobby upon check in while we waited for our rooms to be ready! They made them available for use several hours early as well. Von Größe, Lage, Ausblick märchenhaft. Ruhig. Stilvoll. Beispiel: perfektes Frühstücksbuffet (sogar für meine recht hohen Ansprüche) z.B., dass man sich allein an frischen Erdbeeren oder filetierten Orangen sattessen konnte. Und- das Lunchpaket für meinen Abreisetag war tatsächlich auf meine Ansprüche abgestimmt, offensichtlich hatte man meine Frühstücksgewohnheiten, wissend, dass ein Lunchpaket ansteht, beobachtet und ist darauf eingegangen- so etwas habe ich noch nie erlebt. 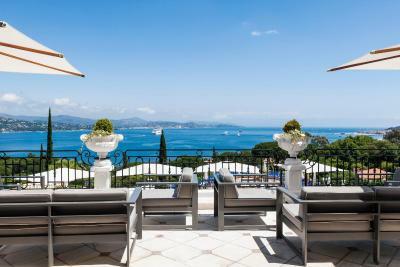 Villa Belrose is located on the hills of the Côte d’Azur, just a 5-minute drive from Saint Tropez and offers panoramic views of the bay and the French Riviera’s coastline. 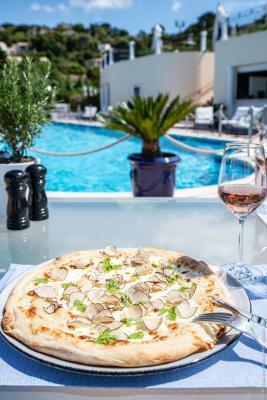 Guests can enjoy a gourmet cuisine, including fresh local products, in the fine dining restaurant "Le Belrose". 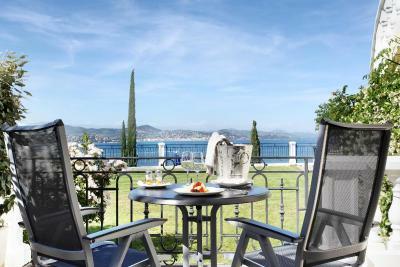 The air-conditioned guestrooms have each private terraces and most of them offer sea views over the bay. 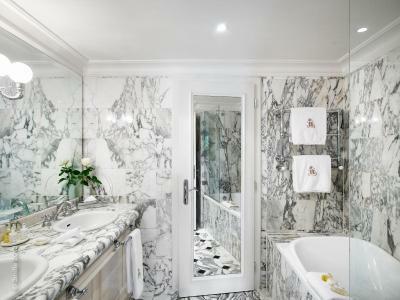 Rooms feature a marble bathroom, cable TV and free Wi-Fi access. 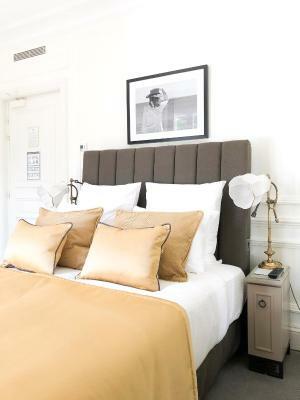 Extra beds and connecting rooms are available. The outdoor and heated 200-square-metre pool, overlooking the bay, is part of the spa and wellness centre offered at Villa Belrose. A luxurious spa and its range of body and face treatments are also available. Guests can enjoy numerous activities nearby, including windsurfing, sailing and snorkeling. Beaches, vineyards and shopping are also accessible in the surroundings. 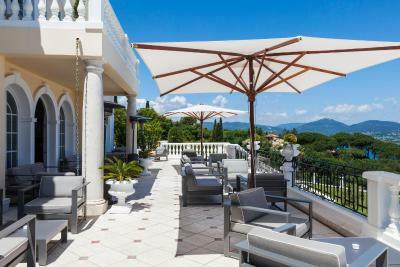 This property also has one of the best-rated locations in Saint-Tropez! Guests are happier about it compared to other properties in the area. 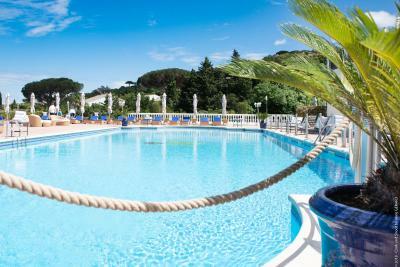 Villa Belrose has been welcoming Booking.com guests since 18 Aug 2009. 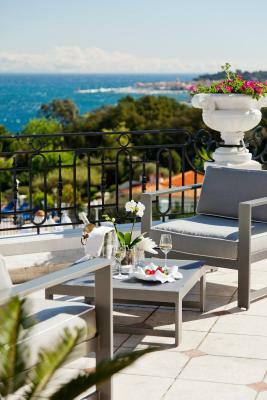 When would you like to stay at Villa Belrose? 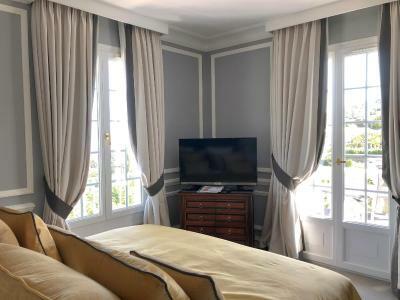 This spacious room features an elegant décor and opens up to a private terrace with views of the garden. It is possible to add 1 extra bed to this room. Please request this facility in advance. A private terrace offers views of the gardens and the swimming pool in this elegantly decorated room. 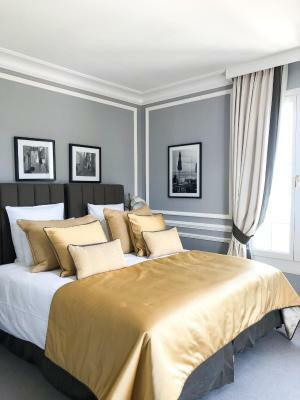 An extra bed can be accommodated in this bedroom. Please request this facility in advance. 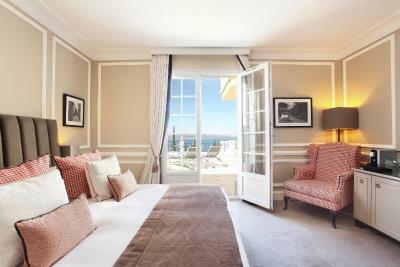 Opening up to a private terrace with views of the bay of Saint-Tropez, this elegantly decorated room includes a marble bathroom. 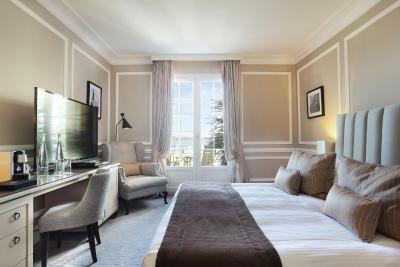 This elegant room offers a marble bathroom and a spacious terrace with deck chairs and views of the Mediterranean Sea. 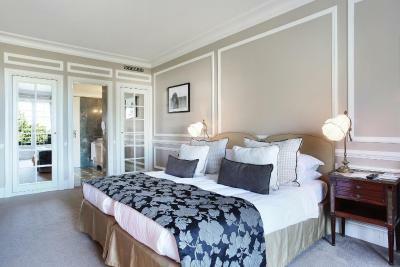 This elegant double room has views of the hills and includes a marble bathroom. This room features a balcony with panoramic views of the Mediterranean Sea, and has a marble bathroom. This air-conditioned room features a terrace with sea views, a TV with cable channels and an en suite bathroom with free toiletries, bathrobe, shower and bathtub. 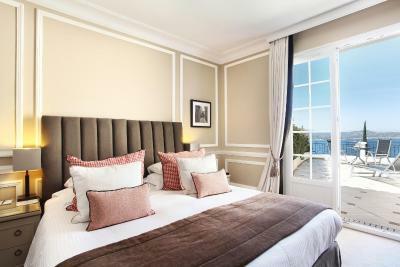 Our luxury boutic hotel offers the best stay with a gorgeous panoramic view over the bay of Saint-Tropez. House rules Villa Belrose takes special requests - add in the next step! Villa Belrose accepts these cards and reserves the right to temporarily hold an amount prior to arrival. 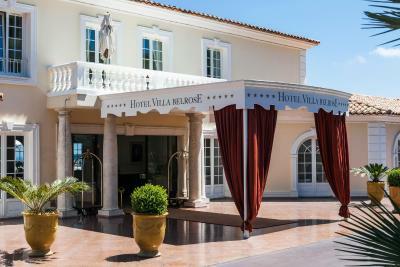 Please inform Villa Belrose in advance of your expected arrival time. You can use the Special Requests box when booking, or contact the property directly with the contact details provided in your confirmation. The food at the Michelin restaurant was a bit disappointing. For 340 euro we expected more. The pool area was also not inviting. Very nice hotel beautiful view. Beautiful hotel with a great view. Very nice and helpful staff. Amazing concierge service (very good recommendations, super nice and helpful). Only 1 detail! Internet Wifi not very good. The staff helped the next day to give us a new rooter in our room. Wifi was better. Quality of breakfast and food in general. Everything was as perfect as it could be!!!! 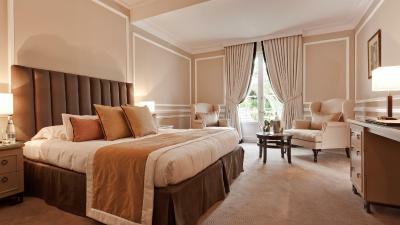 Location was perfect, staff was amazing, room was beautiful. We really never needed to leave. I'd like to go again just to spend more time enjoying the tranquility and beauty of the hotel. My room was 600 Euro more a night for a poor sea view and was very small without a shower. My son had a room bigger and cheaper and much better. We moved once as the sea view room was even smaller. Sadly I was not happy with the Room and felt it was extremely over priced. The gym was hit no air conditioning and no complimentary water.